I think the "Direct Energy" part refers to the direct, short signal path that bypasses the tone controls, similar to Yamaha's Pure Direct. They probably incorporate that feature in all their integrateds, class D or otherwise. The "HD" part of the name probably identifies with the class D topology. "Direct Energy" is their new design philosophy for building amps. A-40 page specifically calls the amp a "direct energy design - direct energy construction". Just connecting the dots brings me to the conclusion I've already voiced. Pitty, because I have always preferred Pioneer products through the years over the Onkyo brand. No huge sinks, though, but I think the thought of all Class D running cool to the touch is a myth. I have a few different class "D" amps, and they all run cool. It might be that most class "D" amps are rather powerful, more so than is actually needed. If that is the case, then if only running a few watts, you will never have the heat tht you would have, if the amp was being run wide open. 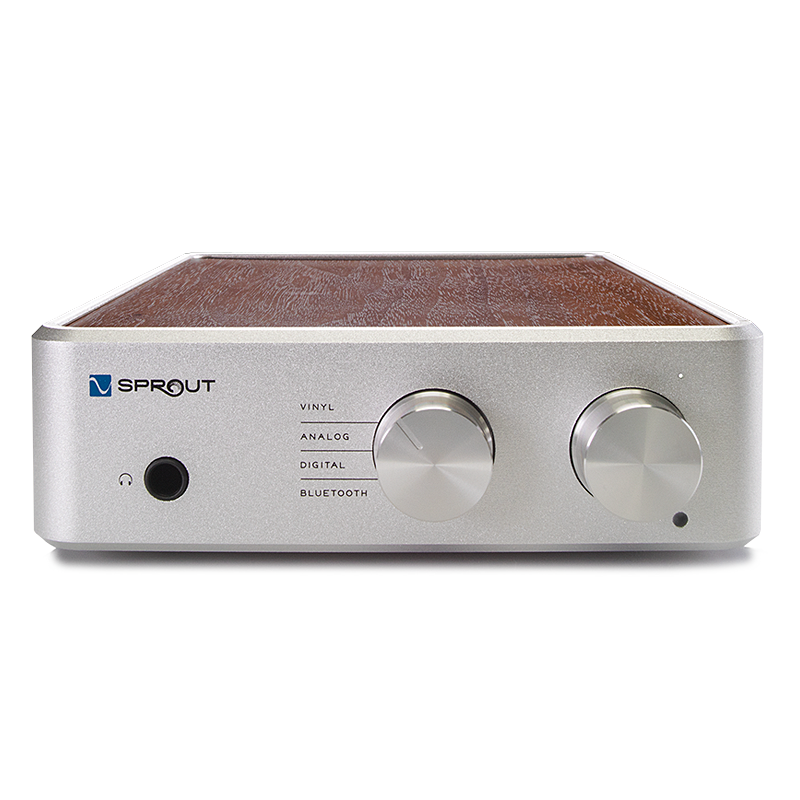 Look at the really small box that the PS Audio Sprout100 is in. The new model is rated at 100-Watts per-channel. Plus it is an integrated with analog inputs, including a phono section and a DAC for digital inputs. So, it has a lot going on in that little box. Look at the new Emotiva PA-1, class "D" monoblock amplifier's. The case that they are in, looks like the same case that has their RCA input extender and phono preamp that I have. No external heatsink's and each monoblock is rated to deliver 140 watts RMS into 8 Ohms, or 300 watts RMS into 4 Ohms. That is a serious amount of power for such a small box. They don't even pretend to manufacture the high performance ICEpower board. There are just some ventilation slits on the box, no external heat sink's of any kind. 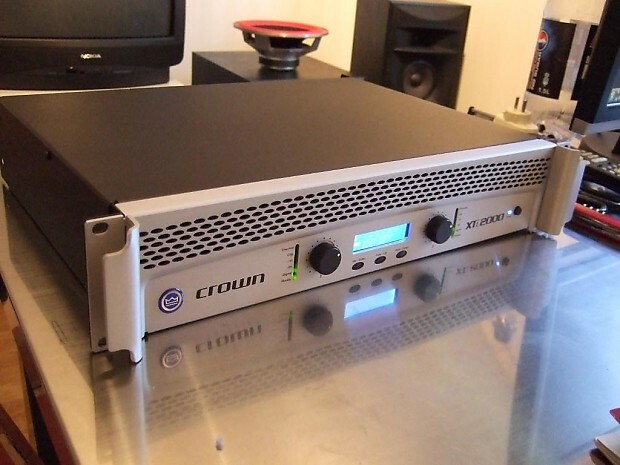 Even my Crown XTi-2000, which is a commercial type power amp, rated at 475-Watts, into 8-Ohm's, has no exterior heat sink's. But there are heat sink's on the inside of the box. I have a pair of these in a portable audio rack, so that I can run a portable P.A. if I want to. One is not being used in the home stereo set up with the vintage Altec's. But, I use the other one running in bridged mono, powering a commercial passive horn loaded sub, in this configuration, it can deliver 1,600-Watts, and I have yet to feel anything but a small amount of warmth to the case. I realize that, but talking from my own experience, as I've said, my Cambridge Azur 851A is Class xD (proprietary), and it always runs if not hot, then very very warm. Compared to that, my Parasound power amp, in class A/B, really runs as cool as a cucumber - barely gets warm at all. Now, to come back to the class xD definition given by Cambridge - it runs in pure Class A for the first 1oW, and then switches to Class D - which theoretically should drop the temperature then - no? But it never runs cool, period. What conclusions can I draw? - Either it never goes above 10 WPC, which I doubt seriously, because it's a 120 WPC amp, and I've run it as high as about 2:00 - 2:30 volume knob position, or there's something wrong with it - which again I doubt, because it works and sounds flawlessly. So, the only conclusion that makes sense to me based on this particular example - that even in Class D some amps can get hot, depending on architecture. They seem to specifically not call these Direct Energy HD. Semantics I know, but they specifically call out Class D amplification on their flagship AVRs. Not at all unusual for marketing typed to change the meaning based on adding or removing the HD. The new amps say Direct Energy Design rather than Direct Energy HD Amplifier. I like the traditional faceplate and I/O layout on the back, but I can’t honestly say that I am overly impressed with the inside. Heat sink is kind of a weird place backed up to the power supply, and the application of the heat sink compound is really sloppy. Just doesn’t ooze quality on the inside to me. I have a few different class "D" amps.. Here's my Azur's entrails - a large heat sink smack in the middle, must be there for a reason. If your amp runs 10 watts in class A, that's what the heatsinks are for. Your amp gets hot even at 2:30 on the knob because you're still running in class A most of the time. Remember that music is dynamic. The heat will also depend on speaker impedance and phase angles. The volume knob is never a good indicator of how hard you're pushing an amp. SandAndGlass and Benzion like this. I would tend to agree with Helom. It is the class "A" that runs hot. You really have to push a pure class "D" to get it to heat up. You look at that little Sprout 100 or the Emotiva monoblock's, there are no heat sink's at all inside of the case and each monoblock is rated at 140/300 Watts. I would tend to believe that most of the time your Cambridge is running in class "A", and that is what is heating things up a bit. It may also be that everything at 10-Watts and below is always class "A" and that only the part of the program material that is above 10-Watts is class "A/B". Most people wwoulod blow their doors off and their ear's off before heating up a purely class "D" amplifier. I'm not a particular fan of class "D", which I reserve mainly to the Crown to power the passive sub with, but they are making major improvements with Class "D. Peachtree and Emotiva firmly believe in it. I still prefer my older Emotiva class "A/B" gear to run my towers, which I run with only SS amplification. My vintage Altec A7's, I prefer to run with lower power class "A SET and SEP (Single Ended Pentode) amplifier's. Check out some other class "D" SS amps. They mostly don't even get as warm as those little SS phono preamp's that you leave on all of the time. Well, Class A is where it is, anyway! Have the Pioneer Elite 20 with two Elac 6.2 and sounds nice even with the Elac 6 ohms topology and the low wattage 30 watts per channel Pioneer. Setup going to grandaughter soon with one of the many cd players I have from 2000-2013. Denon, Panasonic etc. John M.
I am a bit fascinated with how they design an amp that goes between A & D. I understand going between A & AB, that's just playing with the biasing (hugely oversimplified), but moving to D is so completely in implementation that I would really like to see how that works. My favorite amp of my youth was my beloved JVC/Victor A-X9 which ran in a Pseudo Class A, which was a thing in the 79-82ish timeframe. I always figured the amps that moved from A to AB was doing something similar. SandAndGlass and timind like this. If the Pioneer Elite A-20 is anything like its predecessor, the A-15R, then it should be fine sounding, inexpensive integrated amp. 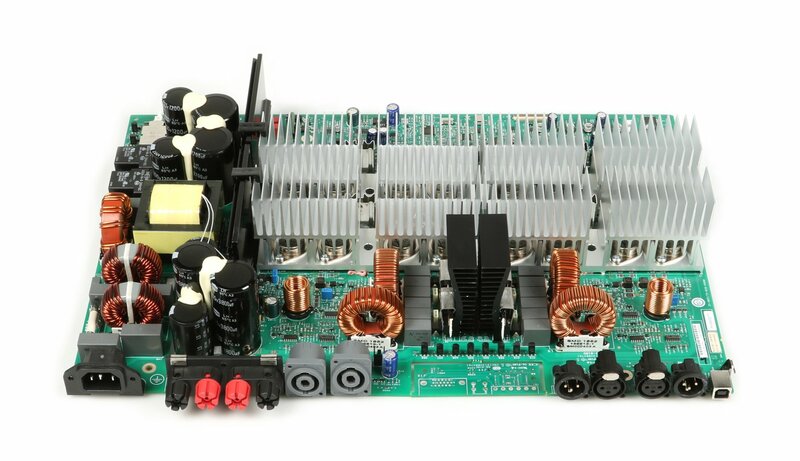 I don't care what their web site says, the topology of that amp is a very typical A or A/B. As for your Cambridge Audio amp, I am very curious how they switch from class A to D. Very strange as the two amp designs are so very different. FWIW, I use an amp that also gives the first ten watts in class A and works in A/B if more power is needed. My amp runs hottest at idle or low volume. If I use it hard for an hour or more, I notice it's considerably coller when I shut it off. BayouTiger and SandAndGlass like this. Most likely the Cambridge has a class A preamp stage and Class D amp stage. timind and BayouTiger like this. That is not Class D .. those are standard power transistors .. and Class D would not need that beefy of a power transformer. It A/B. BayouTiger and timind like this. Nothing class D about that Cambridge amp. There explanation sounds like an A/B amp biased highly into class A to me. So Cambridge's "New" XD technology is pretty much the same thing as JVC's Super-A, Technics "New Class A", or Pioneer's "Non Switching" technology from 1980(ish). It doesn't sound like it switches between A and AB operation, but uses a smart bias to control the crossover point to avoid switching distortion, which is exactly what the amps of that era did (with mixed results - I think the JVC and Pioneer got it "more right" than Technics, but I think they were all an improvement over AB amps of the time (thought a very warm improvement - My A-X9 got very warm driving my crazy power hungry Infinity/Watkins speakers. With the exception of a few recent improvements in class D, most amp designs are nothing more than recycled technology, or new combinations of old tech. BayouTiger, timind and Hifi Kenny like this. "Class XD (Crossover Displacement), a patented Cambridge Audio technology, is a unique amplifier circuit design created to offer the optimum sound quality currently available from existing amplifier configurations, whilst retaining the efficiency and high power levels required for a truly dynamic performance. It was conceived by our London-based engineering team to combine the best of both worlds from Class A and Class AB amplifier operation..."
"Class XD, delivers the sonic benefits of pure Class A amplification, combined with the efficiency of Class AB. In turn, this allows us to spend more of the budget on the quality of amplification, power supplies, etc rather than on heat sinks!..." "Distinct from Class AB, XD moves the controlled current’s crossover point away from either side of zero volume (the worst possible position in terms of distortion) and instead displaces it to a different point where the transfer functions of the transistors are better matched, at a significant output level where distortion is far less audible." Nothing at all mentions anything about class "D" amplification. It's a power amp and as pointed out class AB. Just fancy marketing name for the topology used. Correction...Pioneer Elite 20 is 50 watts per channel. Sorry. John M.
That was the selling point they used to use - in fact, I bought it based on that shpiel. I would not invent something like that - I'm not specialist enough in these matters. In any event - if it's class A/B it just makes me happy - it's a better amp than I thought!